​ FREE Black and Mild Lighter! FREE Black and Mild Lighter! 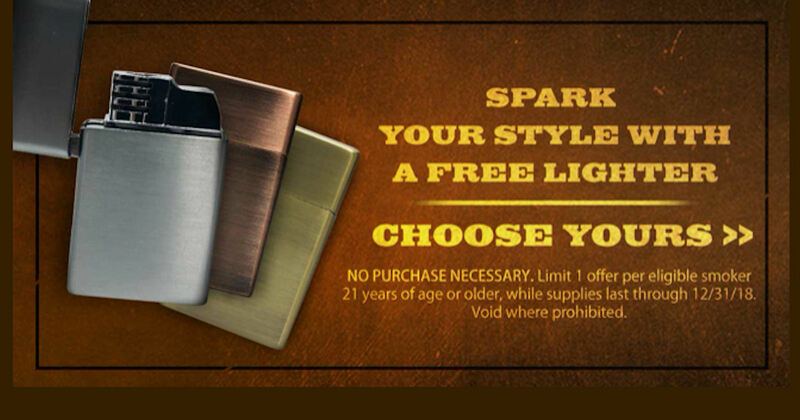 Get a free lighter from Black & Mild! Register or log into Black & Mild and click the free gift box on the lower left of the page! Then click thru to confirm your address and score a free personalized Zippo Lighter! Valid for those 21 years and older. Available thru 12/31/18 or while supplies last!